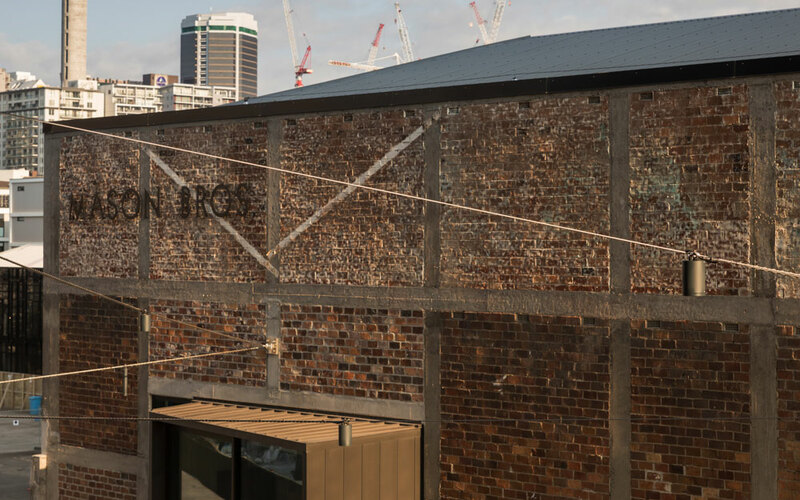 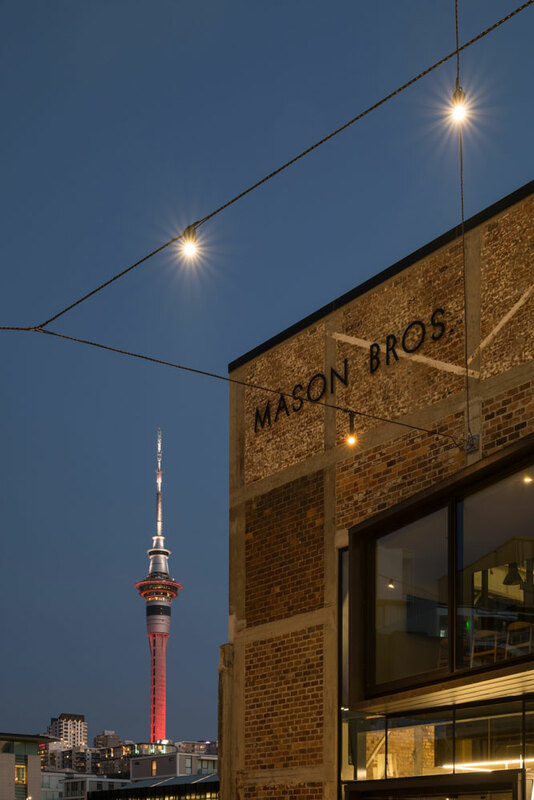 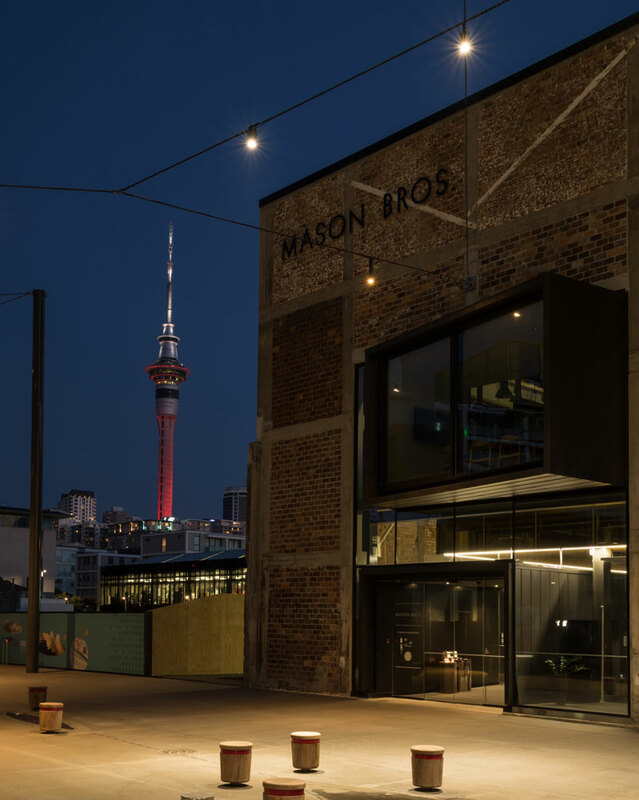 The Wynyard Quarter of Auckland, New Zealand is quickly being redeveloped from its’ former exclusively industrial use on the waterfront, to now being a hub of diverse shops, restaurants, cafes, public gathering spaces, offices, and future residences. 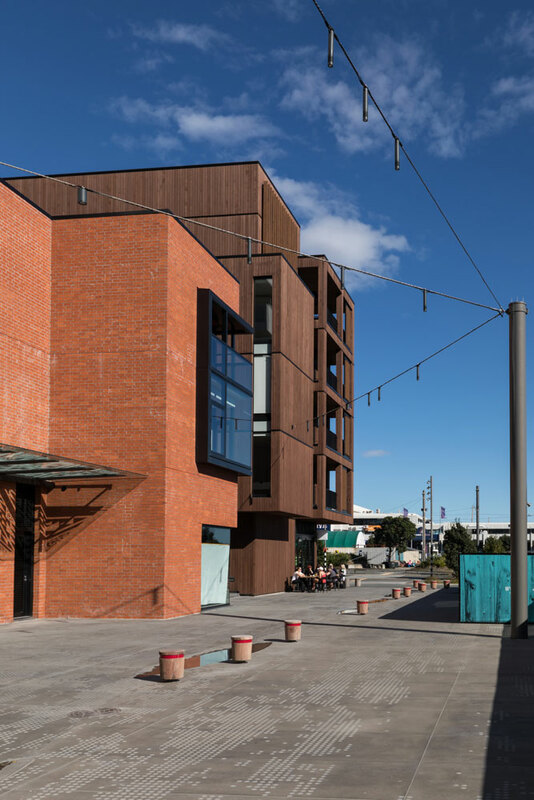 The creation of new mixed-use public spaces here, lead to Tiramarama Way opening in June of 2018. 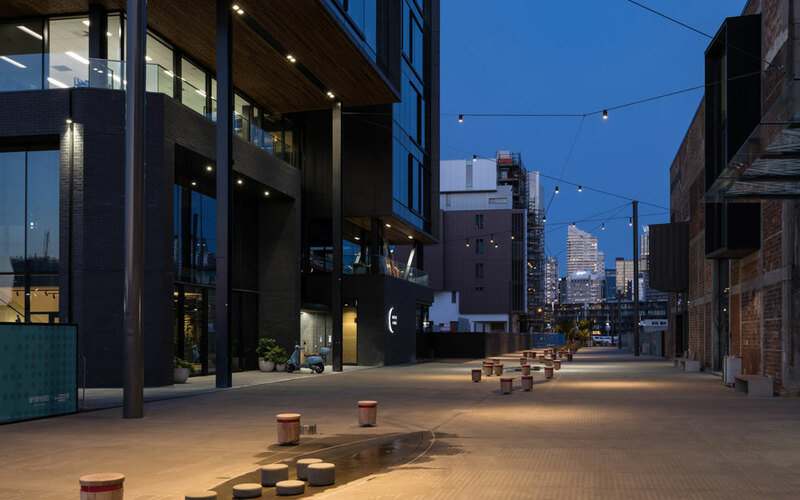 Tiramarama Way is a laneway that is an east-by-west walkway with integrated design features which represent an “interpretation of the original shoreline of Waitemata Harbour in 1841”, according to the designers. 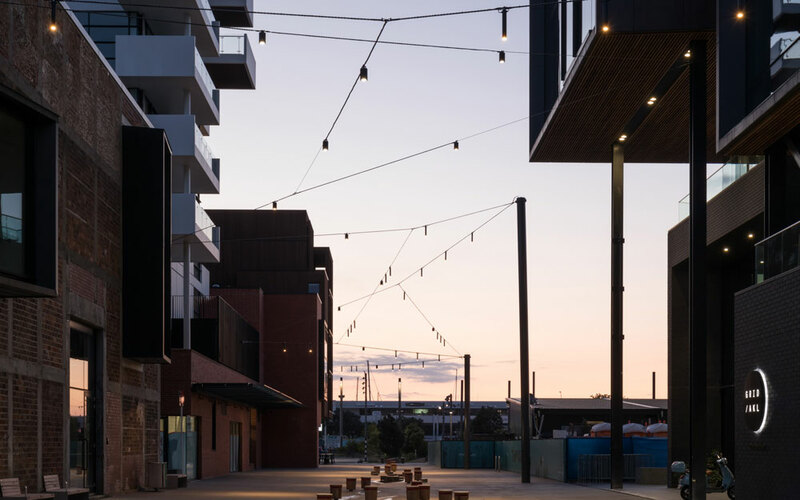 Some of the features along the ground of the path include pools which are designed to rise and fall with the tides and provide a place for play, as well as flourishing gardens and greenery. 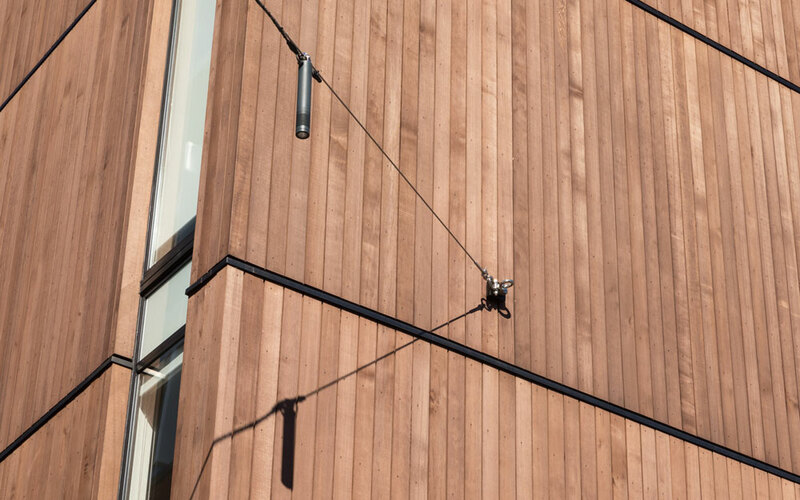 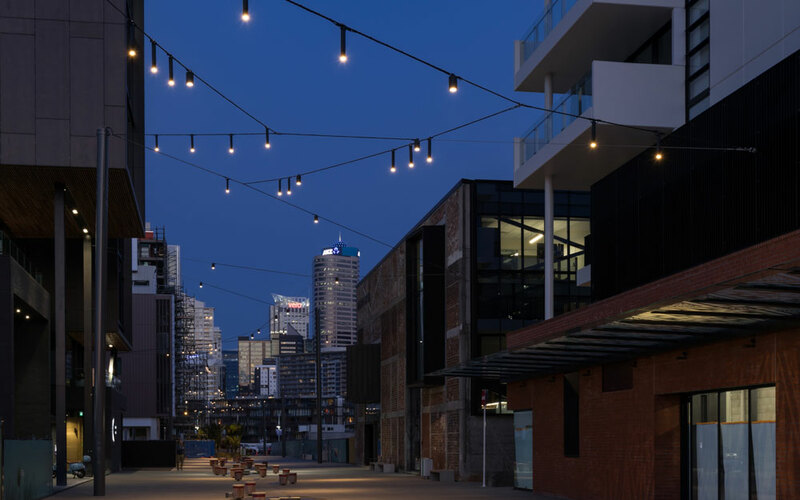 One of the most stunning features of the laneway is the catenary lighting installation suspended above. 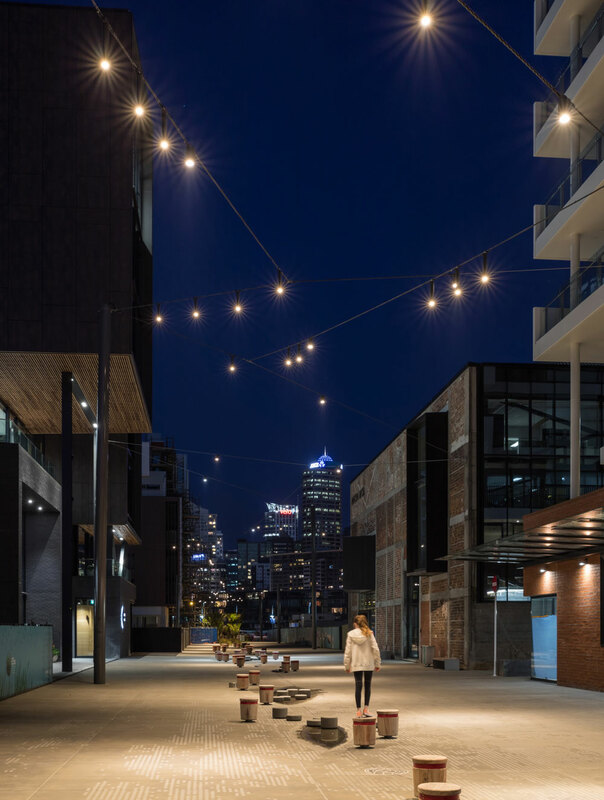 Lighting creates a purposeful, welcoming and safe space within a public space, and the installation at Tiramarama Way serves to celebrate constellations specific to Maori astronomy including Te Puanga (The Southern Cross) and Matariki. 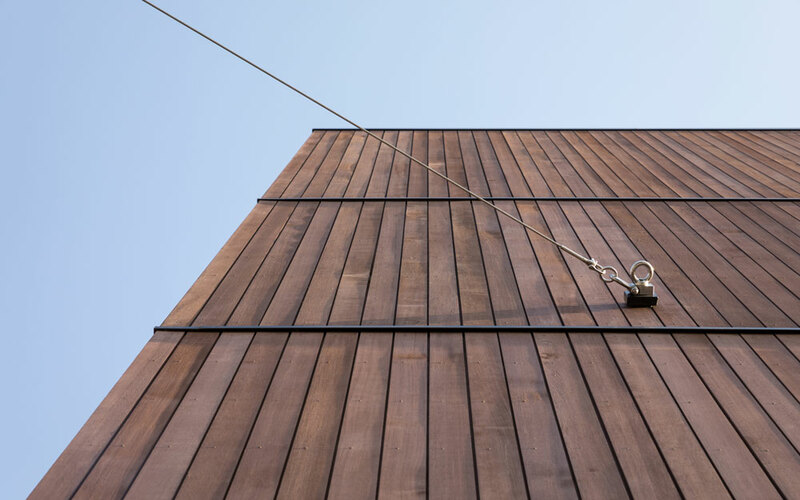 Ronstan provided the catenary lighting structural components for this projects such as the swivels at the wall connections, a modified ACS2 cable system with shackles into eyes instead of toggles, and a Carl Stahl Mesh sock for electrical flex onto the structural cables. 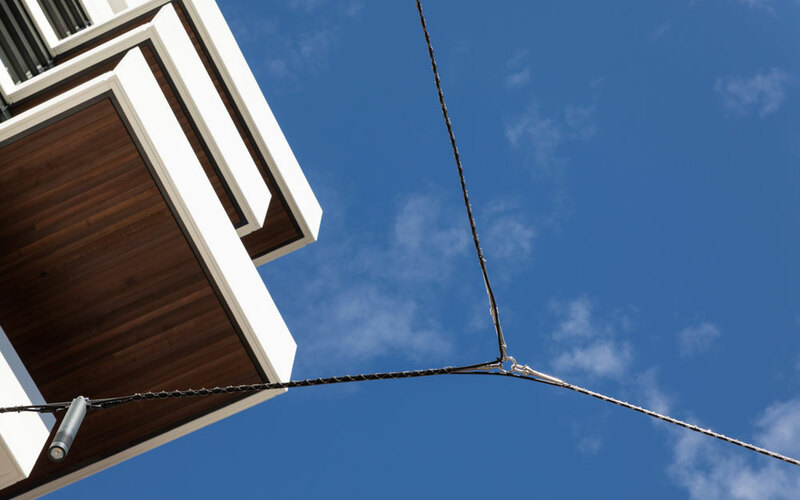 Ronstan also provided the installation services. 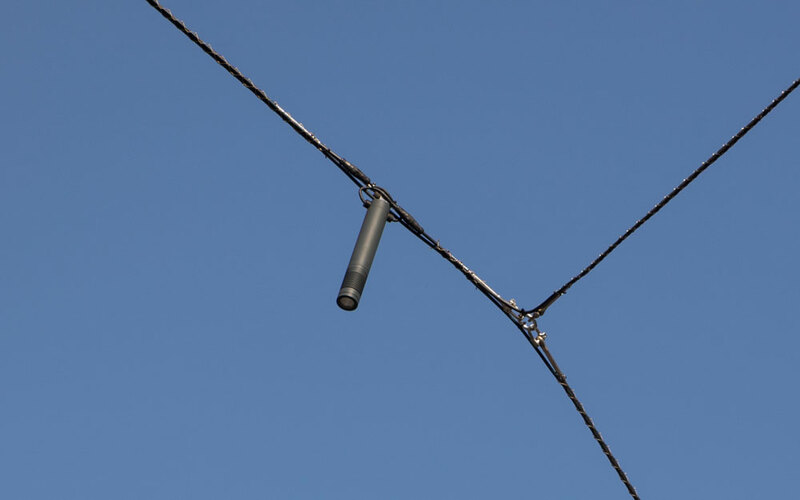 Preliminary work for a catenary lighting project such as this, begins years in advance, starting as a vision of the architect, lighting designer, and project owner. 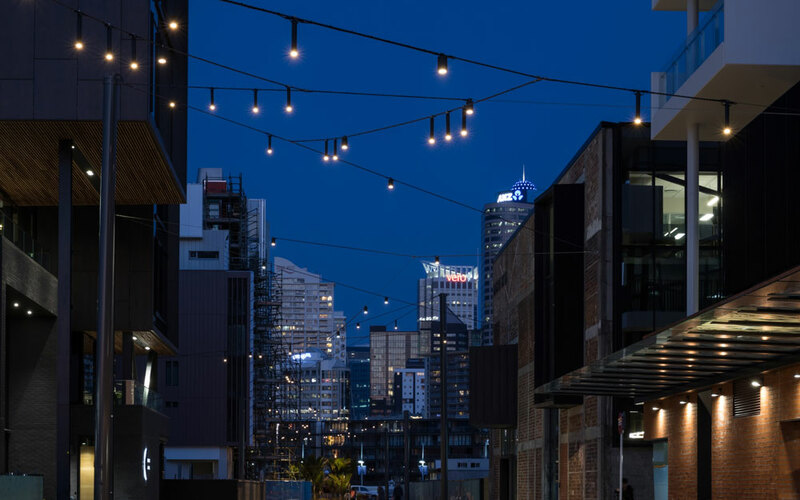 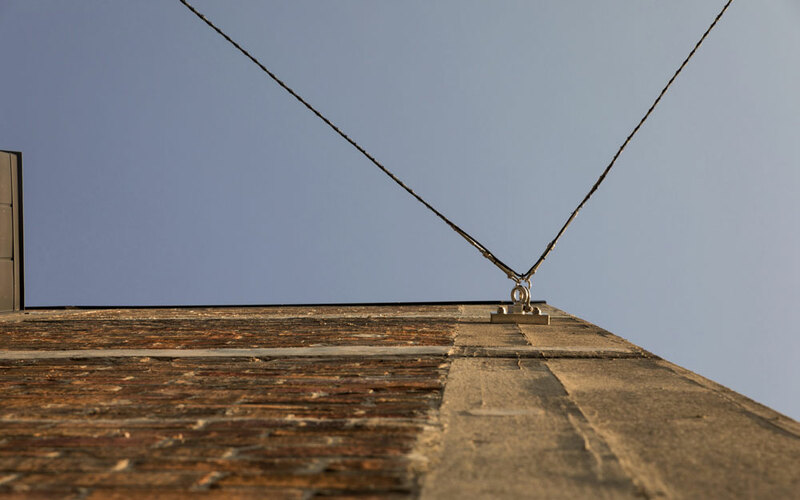 The inspiration for Tiramarama Way was taken from the success of existing laneways in Melbourne, where catenary lighting has proven to successfully create a sense of welcome and safety for visitors and residents. 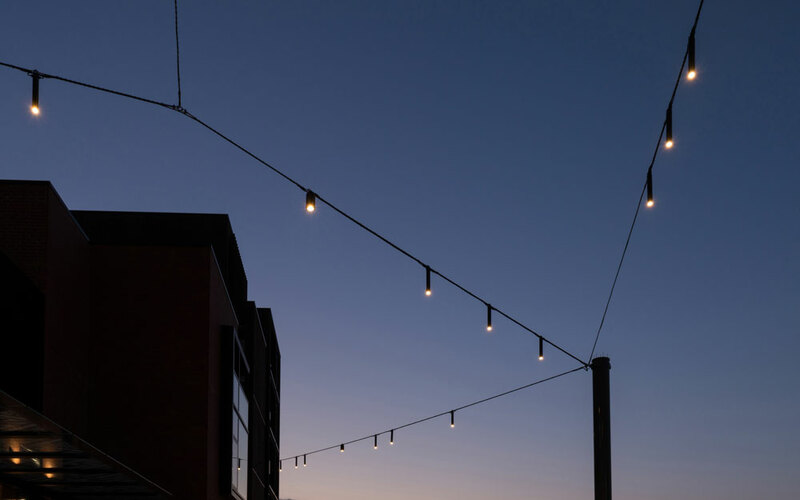 Ronstan provided the design solutions for the challenging elements of this catenary lighting installation, such as custom wall connections. 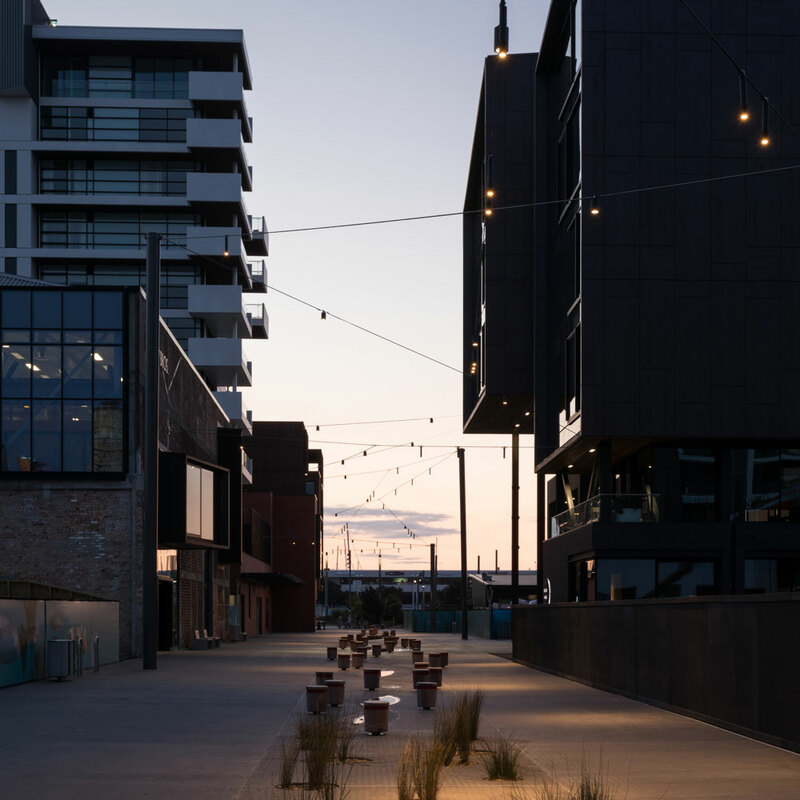 The result is a beautiful and inviting space which incorporates to the history of the location in the Wynyard Quarter. 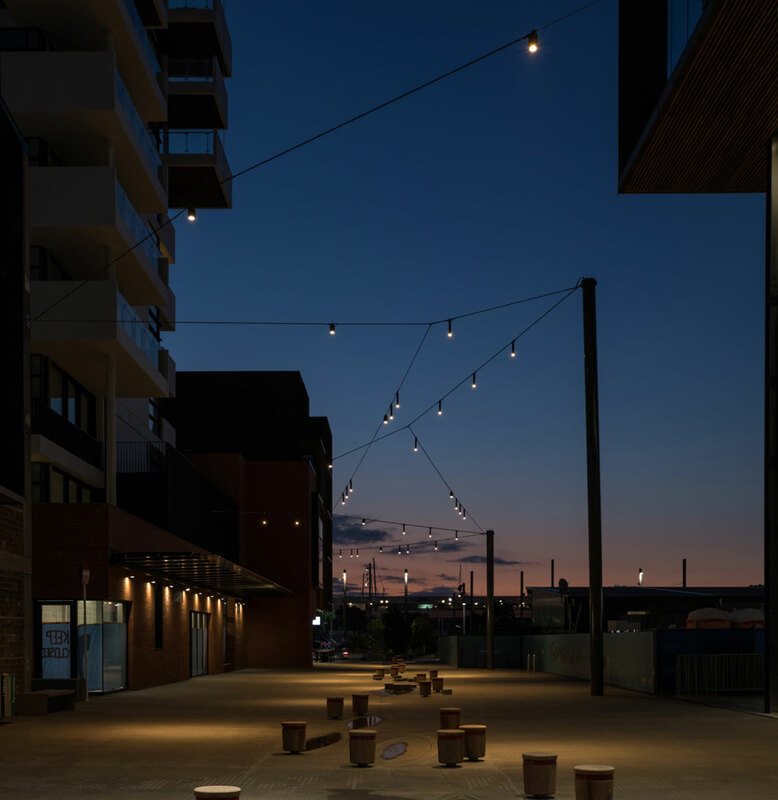 For more information on this project or other catenary lighting projects, please contact Ronstan.